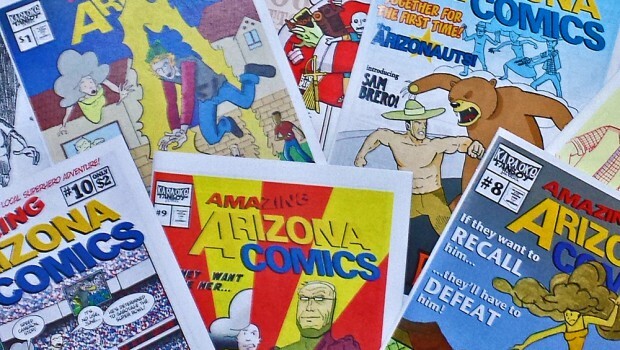 You can help Arizona’s homegrown super-team, the ‘Arizonauts,’ to fight the bad guys and save our state from dirty politicians and other evil-doers – just subscribe to Russ Kazmierczak’s Amazing Arizona Comics at his current KickStarter campaign! Do it HERE – or click the ‘K’ in the upper left corner of the video below. Amazing Arizona Comics lovingly satires all of our home state’s eccentricities, from Sheriff Joe to immigration issues and the Super Bowl to AZ-centric superheroes. Kazmierczak’s stories contain astute political and pop culture commentary blended with old school comic book sensibilities. If you dig current events and comics, you are going to love these books! 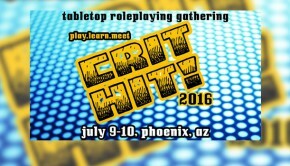 Learn more about Russ and Amazing Arizona Comics by checking out his latest NERDVANA interview!